All Wordpress related articles can be found in this section but if you can’t find a topic you are looking for you could always use the Search box. An XML sitemap is a document that helps search engines better understand your website while crawling and index the new URLs on your website. Ever wonders how can you change the height and width for captcha and textarea in Contact Form 7? Here is how. 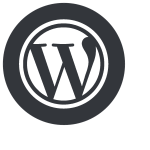 Here’s our suggestions for some WordPress plugins. The descriptions provided here are from the plug-ins themselves, and not the links, go to the plugin page on WordPress.org. 70% of virus writers actually work under a contract for an organization.